On Wednesday, Seattle's Affordable Housing, Neighborhoods and Finance Committee voted unanimously to forward a bill to pull $3 billion from DAPL lender Wells Fargo to the full City Council. This follows a Tuesday announcement that the U.S Army Corps of Engineers will issue an easement allowing them to begin the last stages of construction on the Dakota Access Pipeline. The bill would terminate the city's contract with Wells Fargo and require the city to consider social justice issues when granting city contracts for construction and other projects, the Seattle Times reports. Demonstrators gathered at City Hall on Wednesday in anticipation of the vote, decrying the pipeline's construction in solidarity with the Standing Rock Sioux Tribe and protestors in North Dakota. “Let’s build on this, make sure other cities move to divest from Wells Fargo," Sawant continued, as she cast her vote. The proposal will go before the city council next week. Where activists are trying to get their cities to follow Seattle's lead. "For too long, Native American culture and history has been desecrated, dismissed and commoditized," environmental attorney Robyn Purchia wrote in a Wednesday opinion piece published in the San Francisco Examiner. "If San Franciscans want to lead the resistance, we must fight backward policies in Washington, D.C., and our own backyard," she continued. "We must divest from banks and companies that fund pollution and invest in future generations." 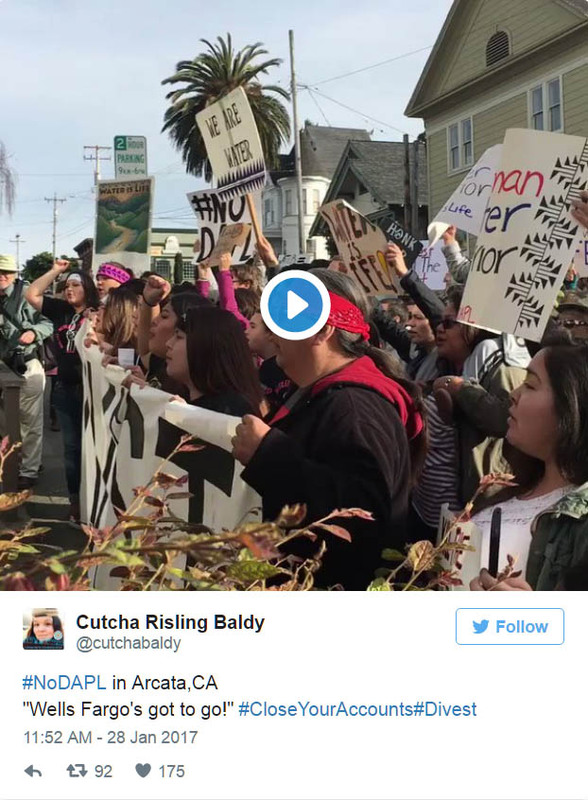 Protestors including a small group of Native youth holding a banner bearing the word “Divest" took the streets of Arcata, California in a Saturday demonstration. Despite pressure from Boulder, Colorado activists, the city's Finance Department is urging the City Council not to divest from pipeline funder JP Morgan Chase, Boulder local news site the Daily Camera reports. The Seattle vote arrives amidst a heated back-and-forth over the fine print of Tuesday's statement, issued by Senator John Hoeven (R-N.D.). Acting Secretary of the Army Robert Speer ordered the Army Corps to issue the easement required to complete the oil pipeline, Hoeven asserted. The Standing Rock Sioux Tribe responded to Hoeven's remarks in a Tuesday evening statement. The tribe argued the Corps could not legally proceed to issue the easement without producing an environmental impact statement (EIS) the Corps pledged to issue in December.